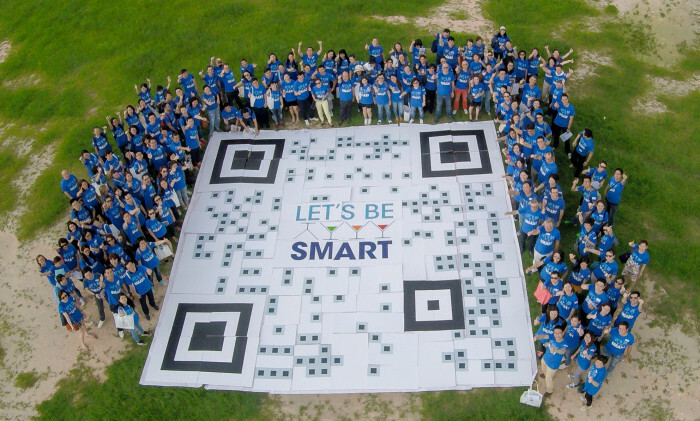 Located at the Podium outdoor area in Cyberport, the gigantic QR Code directs people to download the company’s “Wise Drinking” mobile app which promotes responsible drinking. To mark the fifth annual Responsib’ALL Day, new technological features will be added to the app to include a multiplayer quiz with four themes, where one of them focuses on encouraging and educating about responsible drinking. 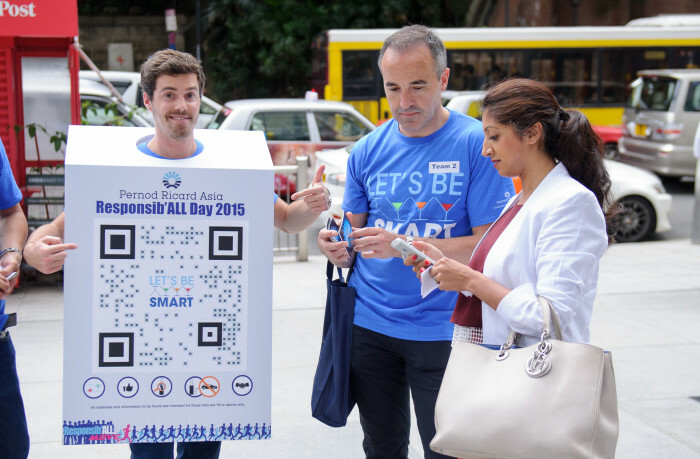 Forty teams across twenty locations including Lan Kwai Fong, Times Square, Wanchai and Victoria Park have encouraged passers-by to download the app with engaging promotional activity and themed mascots. Each team earns a puzzle piece when successful in gaining more downloads from the public. 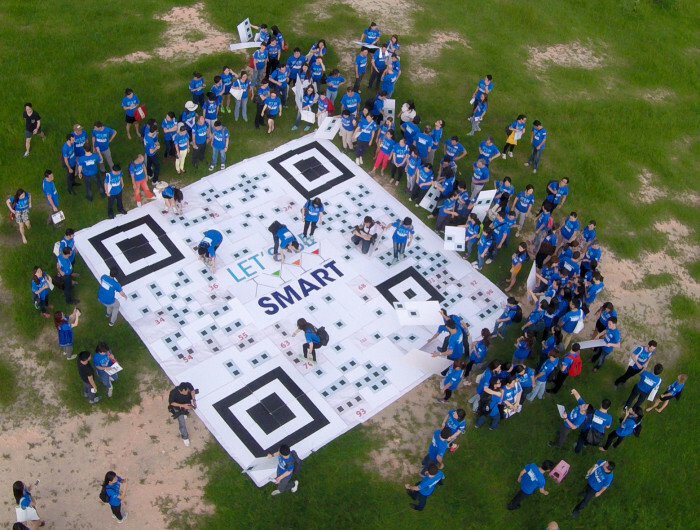 With all the pieces gathered across twenty locations, the 200 people team converged at Cyberport to construct the QR code puzzle. Individual and group tests include brain-teasers as well as an “Alcotest”. Players can follow the game real-time on their phones where they will find the ranking of the top players, a newsfeed and the average time a player takes to answer a question. The “Wise Drinking” app, designed and created by Pernod Ricard, has already received over 64,000 global downloads since its launch in May 2014. The app provides consumers with insight on how to measure their recommended daily intake of alcohol, follow their intake as well as call a cab at the end of a night out. The Wise Drinking App is available in a variety of languages such as English, Chinese (Simplified & Traditional), Japanese, Korean, as well as Vietnamese, and also adapts to local legislation. It is eyeing Vietnam's largest milk producer Vietnam Dairy Products. ..
Or watch our digital marketing dollars go down the drain. ..